Is Live Poker Dying for Good? That is the number of live poker rooms that have been shut down in just over 2 years in the United States. The most recent victim is the room at the Linq Hotel & Casino. Poker has been a mainstay of the modern casino since its inception, but it’s becoming a less important part over time. Are people losing interest in table games? Perhaps. But the problem likely runs deeper than that. Poker rooms have never been incredibly profitable for casinos. Compared to slot machines or other traditional gambling activities, poker generates a pittance of revenue. There’s really no way for the room to make a substantial profit considering that there are typically 30 hands or less dealt per hour at a live table. Add in the wages of the dealers (albeit small) and you aren’t left with much. However, people used to go to casinos to play poker and stick around to play casino games. According to the extensive calculations by each of these 12 casinos, this added revenue isn’t worth the space that the poker room takes up. So if it’s not limited revenue that’s changed in recent years, what could it be? With the popularization of online poker came an increased interest in poker by the general public. TV shows were created (and heavily watched), and Americans signed up and played online at an incredible rate. This didn’t hurt the casino industry for years, so the mere presence of online poker probably isn’t taking casino players away from the table. In fact, the two markets don’t overlap too much. Casino visitors are there to gamble, and they may or may not play back home. When something gets popular, it often gets overdone to the point that people’s interest simply burns out. While there are a ton of televised tournaments and online training sites these days, online poker is still going strong. If anything suffered from player burnout, it would be online poker, not live. Digging below the surface reveals that the casino industry is in trouble. In 2014, casinos had revenues of just $2.7 billion. While that sounds like a lot, it’s only about half of revenues in 2006, which were $5.2 billion. People still like to gamble, but the recession has hit everyone hard. It seems like a logical step to take that having less disposable income means that frivolous gambling and vacations would be the first expense to be cut out. On the bright side, while it’s likely we haven’t seen the end of poker room closures, when the economy does finally rebound, it’s also likely that we will see many poker rooms spring back to life. The Poker Hall of Fame is a big deal, in fact, it only had 21 living members until this year. Daniel Negreanu and Jack McClelland were the two poker players selected to join the hall of fame this year out of 10 nominees. Any poker fan of the last decade can recognize the quality of those nominees, but even so, Negreanu and McClelland made strong cases for induction into the hall of fame that could not be passed over. Negreanu has had a legendary career thus far, and there are no signs of it stopping any time soon. There are few players with the passion and ability that Negreanu possesses, which is part of the reason why he is loved by most of the poker community. 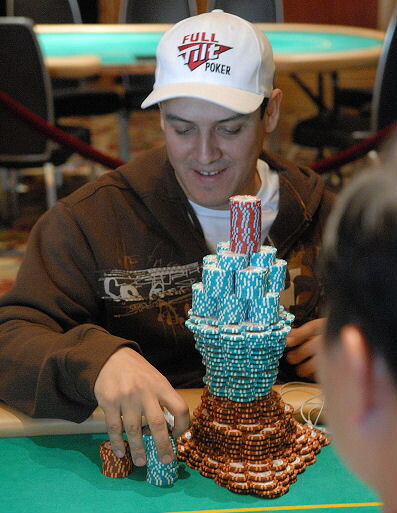 Affectionately named “Kid Poker”, the Canadian has won 6 WSOP bracelets, and has a whopping 31 WSOP final table appearances. Negreanu is the last of a generation of players. He dropped out of school in order to play in underground games, and despite failing multiple times, his passion and determination was rewarded with the accomplishments as a professional poker player that we see today. On top of being a great player, Negreanu has also served as an ambassador of the game, especially once onine poker exploded. He has been a PokerStars pro since 2007, one of the longest serving sponsored professionals. The younger demographic of poker these days knows Jack McClelland as a prolific tournament director. He has hosted hundreds of tournaments and was the driving force behind the expansion of poker through much of the United States and other countries like Russia and Isle of Man. After 5 decades as a poker director and player, McClelland called it quits in 2013. He’s seen it all during his career, from launching the first ever WPT event in 2002, to seeing it off as his last event, knowing that he had a great impact on its success. While McClelland’s calling was in the administrative side of poker, that doesn’t mean he was a terrible player. McClelland had a solid 9 tournament cashes and one win during his career. While they aren’t Negreanu-esque numbers, most players would be thrilled to share similar accomplishments. The Poker Hall of Fame is the ultimate acknowledgement of skill and passion in the world of poker. You’ll be hard pressed to find anyone that doesn’t believe that Negreanu and McClelland do not belong. For years poker players have been waiting for Zynga to convert their massive free poker user base, built on Facebook, into real money players. A stimulus like this could revitalize a, frankly, stale state of online poker. While there’s still money to be won in online poker, the margins keep getting smaller as players learn to play more optimally. An influx of inexperienced players who learnt the game playing on a free platform would significantly soften the games. Zynga currently has the most play money poker players of any site, with Pokerstars not even reaching half that amount. However, so far Zynga has only launched a real money platform in the U.K., using the same software as PartyPoker. That was early in 2014, and there has been little progress since then. Instead of focusing on converting more players (in different countries) into real money players, Zynga has recently overhauled their free money skin and setup to try and retain their players. The new Zynga poker platform created mixed feedback since its launch in September. After just over a month of feedback (a substantial portion negative), Zynga has decided to split their user base into two sections. Players have the option of using the newest Zynga poker platform, but they can also play Zynga Poker Classic, which is the exact same platform as players formerly used. While the two groups of players are not allowed to play directly against each other, it is a fairly simple process to switch from one platform to the other, and can be done as often as a player likes. Why choose one over the other? If you’re still a play money poker player, and still not ready to take the jump to real money sites, the new Zynga platform offers a little more competition. There are leagues and other competitions that were created to add a little more variety and entertainment, although it pales in comparison to the entertainment that real money poker provides. For experienced players: Don’t expect Zynga to launch any new real money platforms any time soon outside of the U.K., they’ve already shown that they are expanding extremely slowly, if at all. For current Zynga poker players outside of the U.K.: If you’ve been looking for more fun and competition, there are many real money options out there, you’ll just have to get used to some new software. There are few poker fanatics that don’t appreciate the absolutely insane hands that Gus Hansen and Viktor Blom have been involved in over the years due to their unique and ‘crazy’ playing style. However, it seems that Full Tilt is headed in a different direction with their sponsored pros lately, which started by letting go Tom Dwan earlier in 2014. After Hansen’s and Blom’s contracts expired in mid-October, Full Tilt opted not to renew them. Before you get worried about never seeing Hansen or Blom play online poker again, don’t worry, they’re still around. In fact, Blom won a massive $261K pot just a few days after being let go from the pro team. Gus leaves the Full Tilt team after losing approximately $20 million during his time. This has earned him the title of one of the most losing online poker professionals of all time. Hansen is known for his wild playing style and playing a wide variety of games. Despite his outrageous online losings, Hansen is still respected overall in the poker world, largely due to his endurance as a player at the highest level and his 3 WPT titles, along with 1 WSOP bracelet. Blom took the poker world by storm in 2009, eventually being signed by PokerStars in the following year. The amazing thing was, that for almost everyone in the poker world, no one knew that it was Blom playing as Isildur1 on PokerStars and Full Tilt. While professionals lined up to get their shot at the crazy-playing ‘fish’ at first, they soon learned that he might have been better than initial stats indicated. Blom moved over to Full Tilt and joined their team of pros late in 2012. He finishes his sponsorship deal with net losings of approximately $3M on Full Tilt. It seems that both major sites owned by the Rational Group, PokerStars and Full Tilt Poker, are moving away from the professional branding that they have used so extensively in the past. Both sites are trimming down their list of sponsored professionals, perhaps in an attempt to shift their player recruiting strategy. Remember that until recently, the two poker giants competed against each other. There was always a heated competition to sign the best and most popular professionals in the game. Once combined however, there aren’t many other sites that have the funds to sponsor professionals at this level. It’s possible that it’s just not worth it on both sides of the deal to continue these types of sponsorship deals. Wherever online poker and its high stakes professionals is heading, don’t worry, there will always be action at the top of the game to give you the thrill of watching hundreds of thousands of dollars being won and lost in single hands. September 16th marked the passing of the first main deadline associated with the newest UK gambling regulations. This Tuesday marked a deadline for online poker rooms to apply for a UK online gambling license. The deadline is in anticipation of October 1st, when the Gambling (Licensing and Advertising) Act becomes active. Online gambling companies of all types – poker rooms, casino games and sports betting sites - must all obtain a UK license before the start of October if they wish to continue operating. There is one further main consequence of this legislation, which won’t come into effect until December 1st. There will be a point of consumption tax on gross profits from any online gambling operator. This tax is 15%, and while it is unclear how this will affect poker room operations, it’s possible that they will increase rake or cash out fees. What are Poker Rooms Doing? The added expense and licensing process has already forced many small operators to shut down their poker and gambling platforms. However, most of the big brands will continue to operate as normal, so players will not see too much of a change as a whole. Pokerstars, Full Tilt, Partypoker, 888 and Unibet are all expected to continue operating in the UK, assuming there are no hiccups with the licensing process. Sites on the iPoker network on the other hand are choosing both options. Most of the major sites plan to continue operating, most notably Winner and Titan, which have both launched a localized version of their site on .co.uk domain extensions. Mansion poker, however, is one of the first well-known casualties so far. The popular iPoker site closed down right before the application deadline, as of September 15th. The iPoker sites that are adapting to the changing situations, Titan and Winner so far, are both owned by PT Entertainment Services, a subsidary of Playtech. Playtech is known for their poker software and ownership of poker rooms. The current users of the sites have been transferred over without any significant difficulties. Due to the structure of the legislation, the rooms continuing to operate need to have an intermediary license until the UK applications are evaluated and accepted or rejected. Titan and Winner Poker are bth using an Antigua license, which is one of a few different valid options for now. Online poker in the UK is changing in a major way behind the tables, but if all goes as expected, there shouldn’t be too many differences for the average player. We will keep you informed if rake, fees or related operations are changed in the future because of this legislation. You are currently browsing the archives for the Poker World Commentary category.